It's my first week owning a Fish Hunt buoy, and things are going great! We offer a wide array of things to do on the sim... DJ's, Live music, contests, contest boards, prizes, fish hunt.. Fish Hunt is getting ready for Halloween. 85% discount on Blue Fishing Buoy! 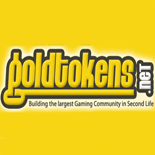 We have a large party ship and some card tables and if you get bored of fishing you can always go hunting for Gold Token..
All kind of news and updates you can find on the offic..